3 Troops Injured In Grenade Explosion In Indian-controlled Kashmir 0 out of 5 based on 0 ratings. 0 user reviews. 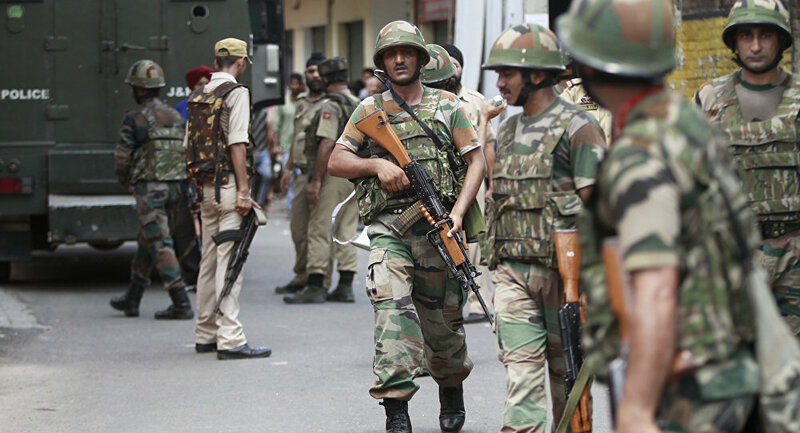 Three indian troops, including an officer, were injured in a grenade explosion in Indian-controlled Kashmir on March 21, according reports appearing from the ground. The incident took place in the town of Sopore when gunmen fired from an under-barrel grenade launcher at a group of security personnel, police said. “Security forces have cordoned off the area and a search has been launched to nab the attackers,” an official comment on the issue said. Following the grenade explosion, clashes between police and local protesters erupted in the area. Local sources say that the incident was provoked by the controversial death of a man in police custody in the nearby Pulwama district. The man was identified as Rizwan Asad Pandit, a private-school teacher arrested as part of a “terror case investigation.” His death sparked outrage and rioting on March 19, to which police responded with tear gas. India has been ridiculed by Pakistan thoroughly and comprehensively the past month or so.